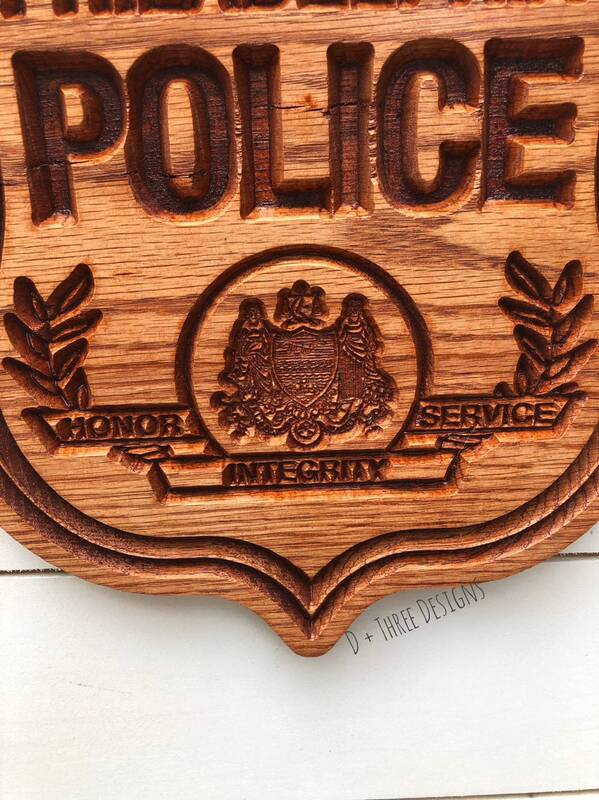 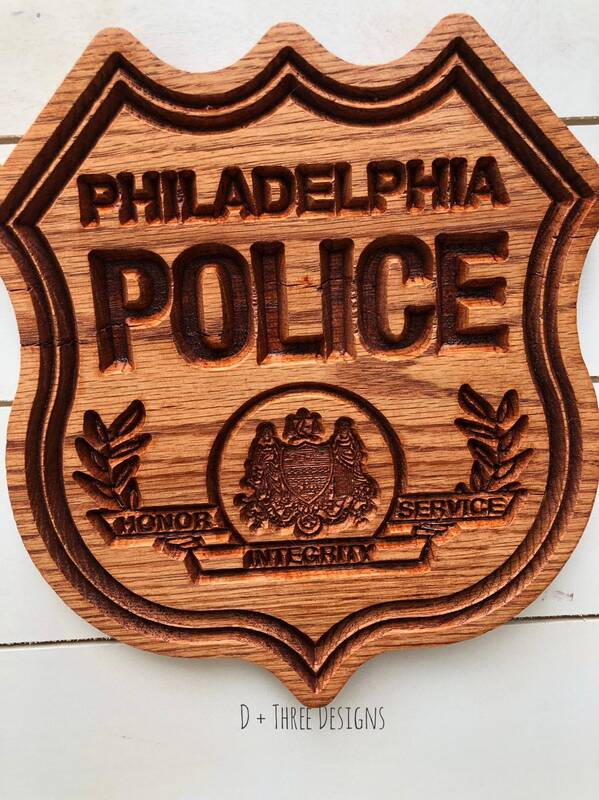 This listing is for a Philadelphia Police Department Wooden badge made from 1” oak. 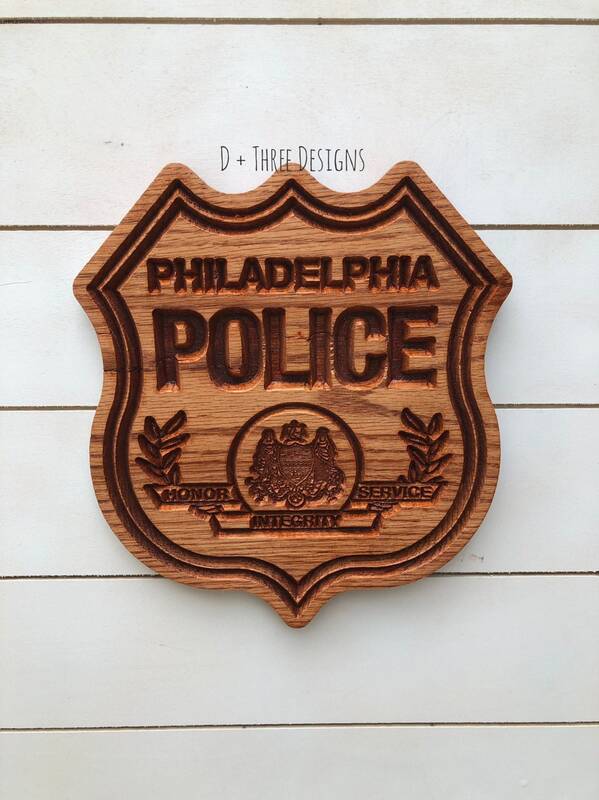 The Philadelphia Police badge is great for academy graduation or a police retirement gift. 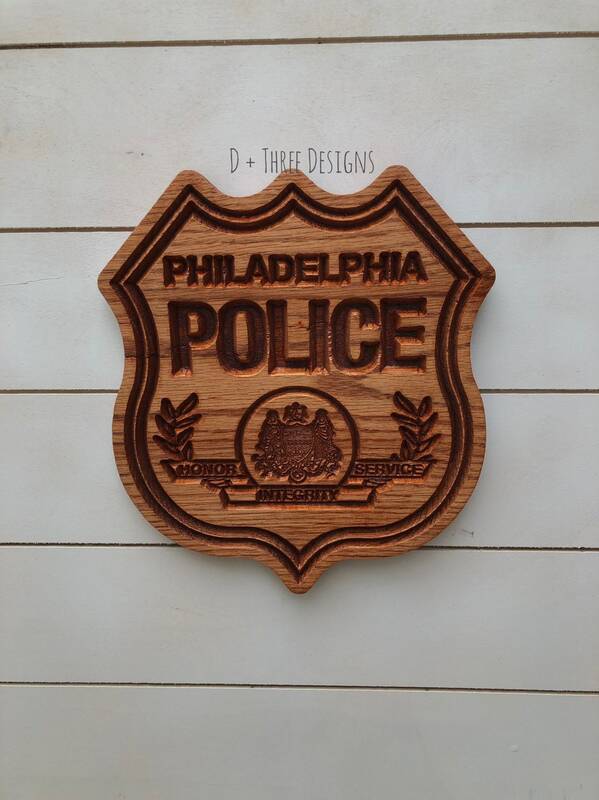 The Philadelphia police badge measures between 10-12” tall. 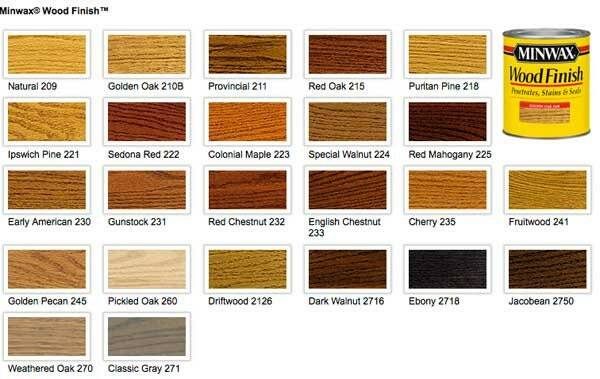 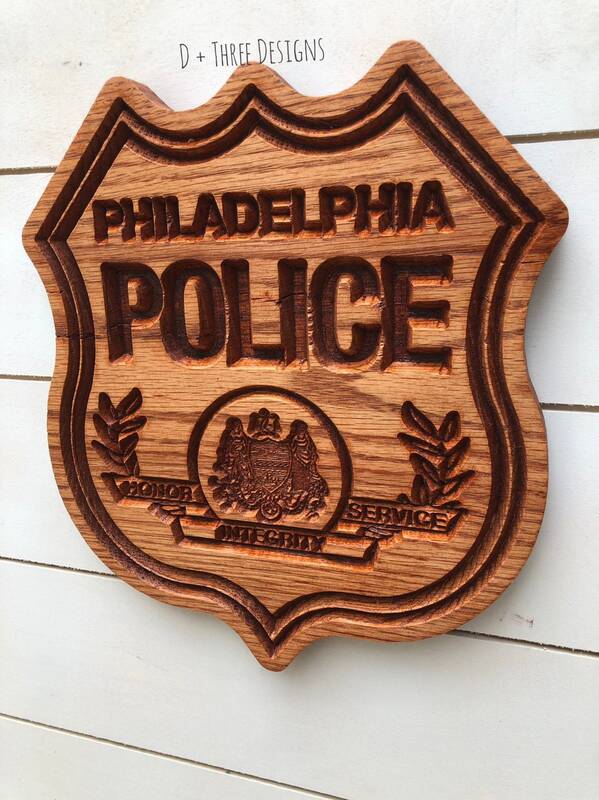 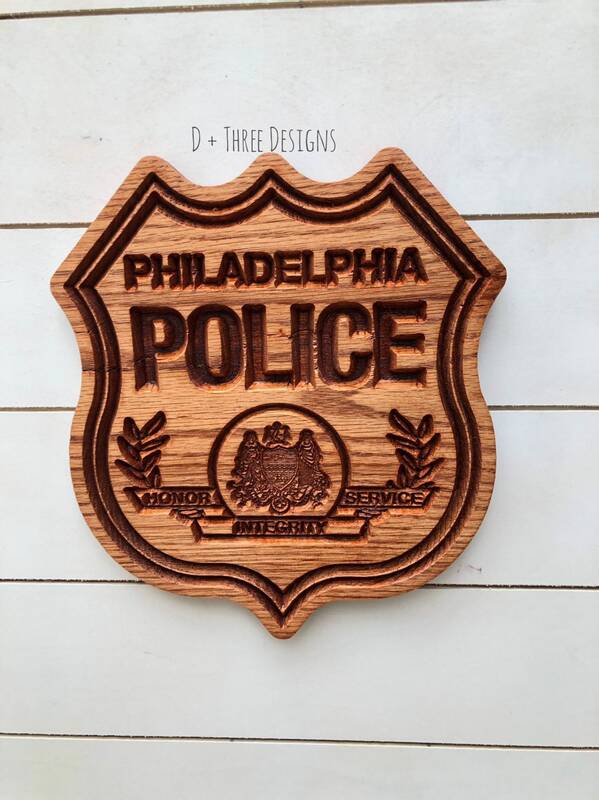 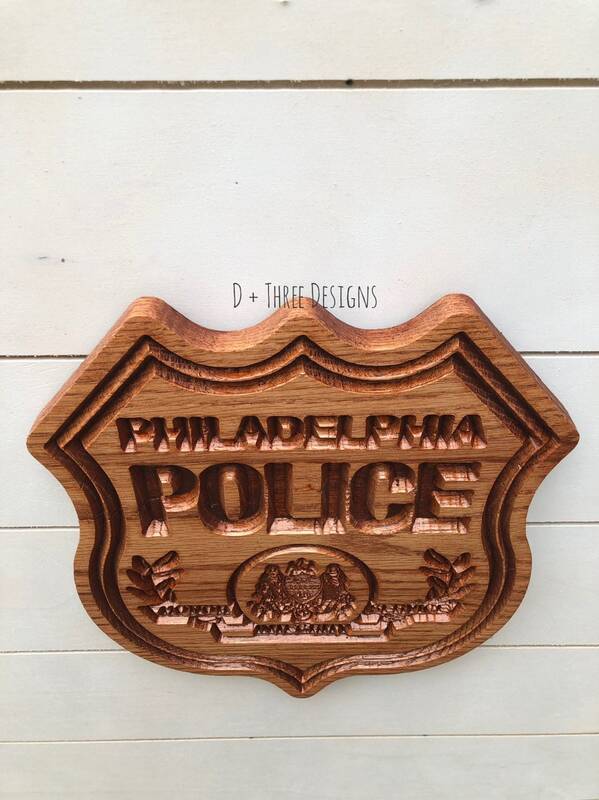 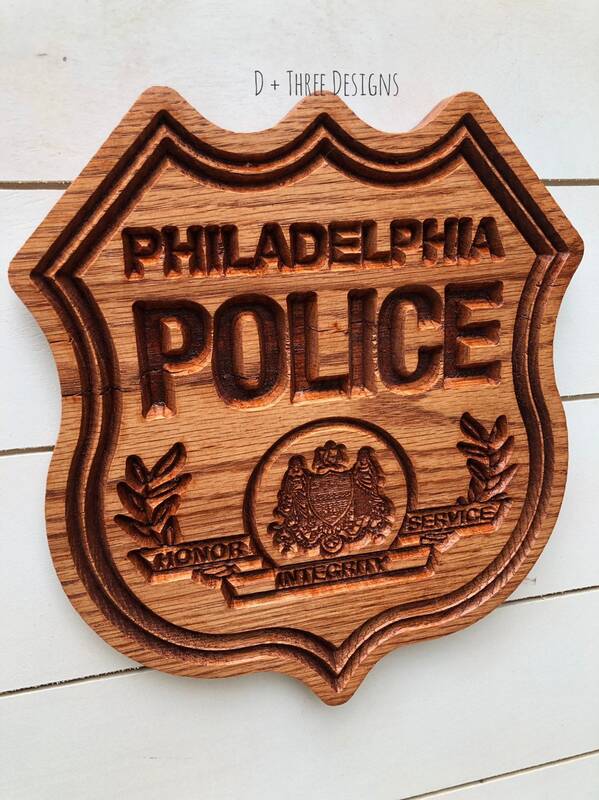 Let us know what stain color you want your Philadelphia Police badge plaque. 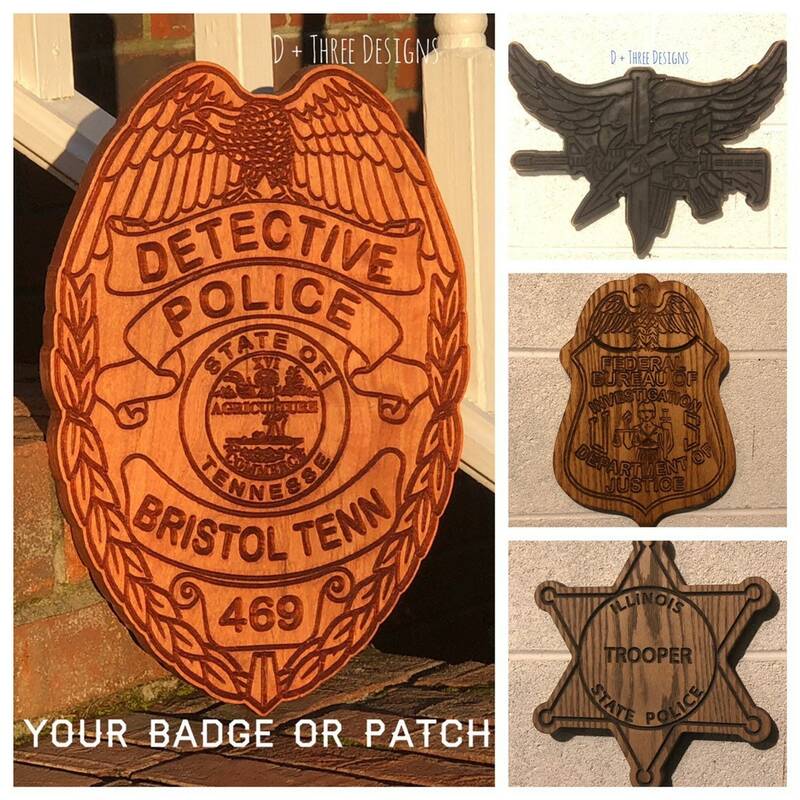 The wooden police badge in the photo is stained gunstock.